Hey y'all! 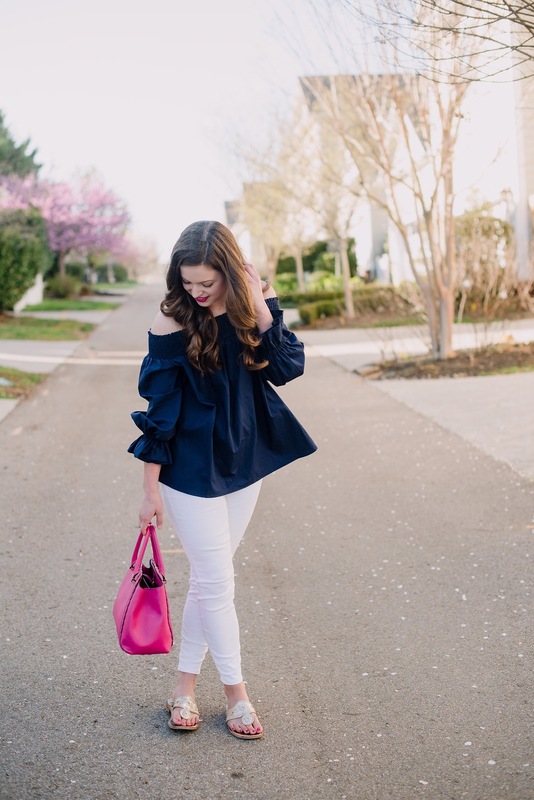 I saw this top on Lonestar Southern, one of my favorite bloggers by the way, several weeks ago, and it is finally warm enough to wear it! 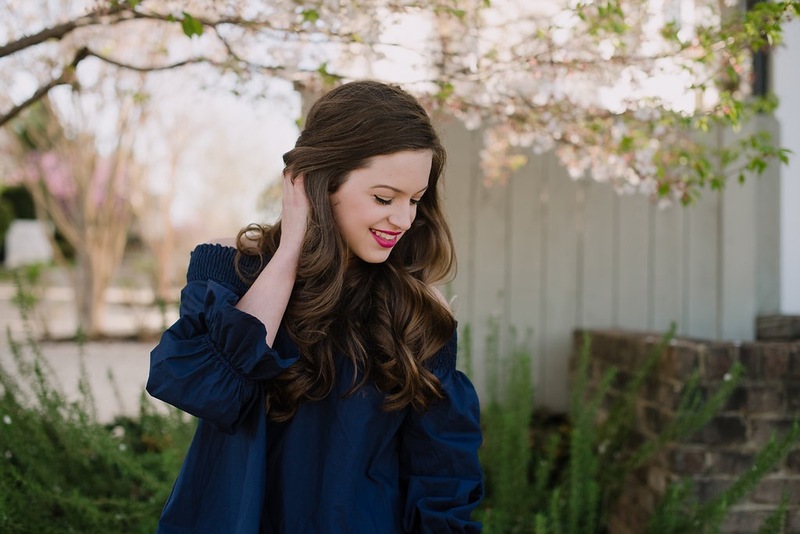 I love the color and all the details- such as the bow on the back and the pouffy sleeves. 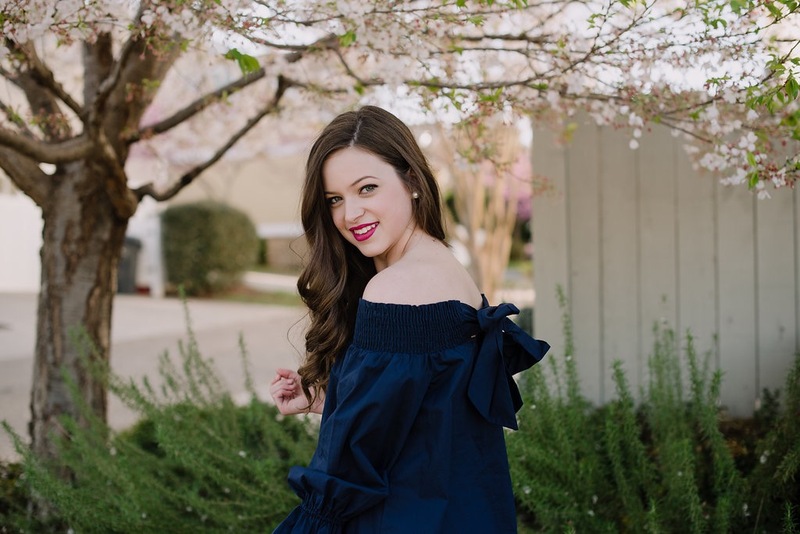 Sadly this blouse is out of stock, but there are plenty of options available so I listed those at the bottom of the post! I could not for the life of me get this bow tied, and my photographer couldn't either! We laughed over the impossibility to tie this bow, so excuse the fact that I don't have a great pic of the bow! Here's a spoiler: it's adorable when the bow is tied correctly! 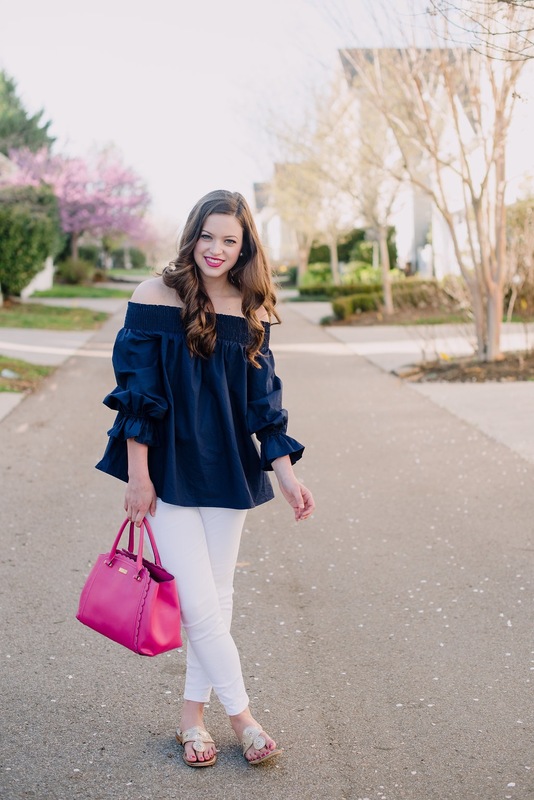 I love the combination of vibrant navy with crisp white jeans. These have been on repeat this spring especially with blouses and jacks. 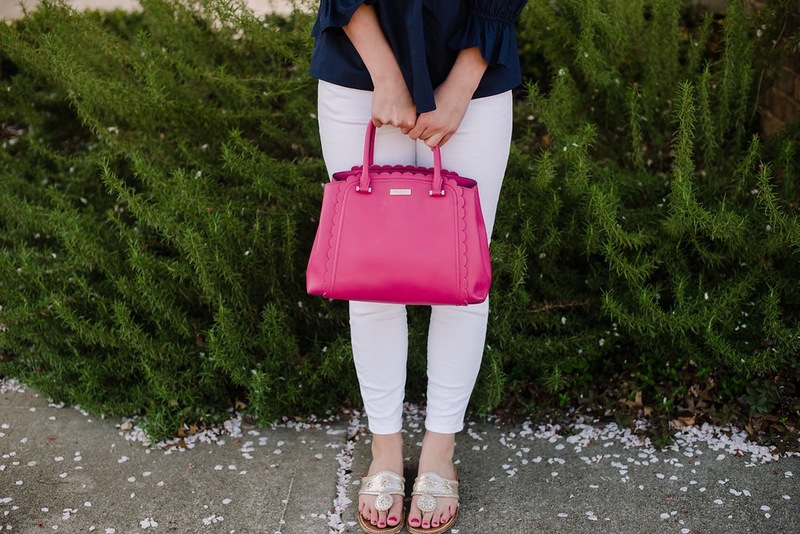 I added my Kate Spade handbag for some pops of pink, and you can see how I organize my purse here. I also threw on my platinum Jack Rogers which are such a great spring and summer piece. I was most excited to bring these out for spring this year! Thank you all for reading! 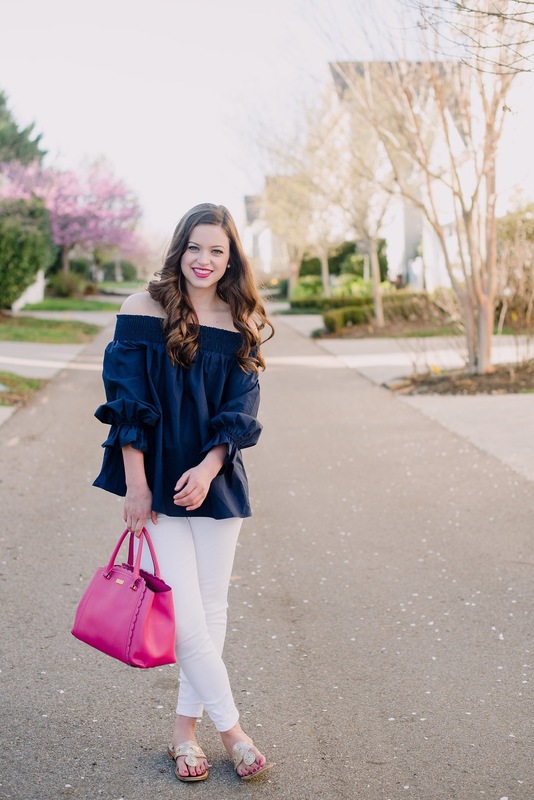 I am so excited to be showing you my spring time outfits because they are so colorful and fun to style.